« Yes, you can have a Jewish destination wedding, in the Caribbean or beyond! One of the great schisms in Judaism today is what “rules” we follow to define or identify who is Jewish. This may come as a surprise, but this is actually nothing new. We have been trying to keep people out of the tribe for as long as we stopped actively trying to bring people into the tribe. When and why did such an enormous ideological change happen? About 2,000 years ago, under the Roman empire and then the early Christian empire, where conversion to Judaism became a crime punishable by death. Up until then, we have evidence that conversion to Judaism was widespread and indeed very simple to do. No one in the Jewish community was trying to make it “difficult” for a person to self-identify as Jewish. But let me start this story from a different angle: This post is meant to be a passionate argument in favor of a simple idea: Any person who has ONE Jewish parent (mother or father … doesn’t matter which), and who chooses to identify Jewishly, has a right to call himself or herself a Jew. The notion that a person can inherit Judaism through either matrilineal or patrilineal descent is known as bilineal descent, as in the Latin root bi = two. Organized Jewish movements have different official opinions on this matter. Orthodox groups (and there are many different types of orthodoxy) maintain the post-Roman idea that Jewishness only happens through the mother. The Conservative movement also supports only matrilineal descent. Mixed-marriage families who belong to their movement must give their children an official conversion, in the mikveh, if it is the father, and not the mother, who is Jewish. On the other side of the debate are the Reform, Reconstructionist, Renewal and Secular Humanist movements: All recognize patrilineal descent, and hence, are in support of bilineal descent. Here is the logic I offer to people who are trying to sort this out. And as you enter the realm of this debate, I have just one request: It doesn’t matter “how you were raised” — what movement you attended as a child, or what the official position of your current movement is. I would like to ask you to think for yourself and make your own decision. The oldest historical way of identifying Jewishly was through the father. Just look in the Torah. Who is Jewish? Moses is Jewish, but his wife is not. Would anyone say Moses’ grandchildren weren’t Jewish? Of course not. What a crazy thought! What about King David? According to Jewish tradition, one of his descendants will be the messiah — not a descendant of his wife. Would anyone today say HIS children aren’t Jewish? Of course not! So, why then, would we say that the child of a Jewish man living today is not Jewish, if that person is choosing to identify Jewishly? The question of whether we wish to honor patrilineal descent boils down to a simple question: What do you think should determine Jewish identity — Jewish law (halacha) or Jewish history? Which, do you believe, carries more weight? A halachic Jew, in essence, the orthodox and Conservative movements, would argue the former. I would argue the latter. Halachic Judaism — the legalistic Judaism that came up with kazillions of rules such as the Jewish dietary laws and the prohibition of driving a car on Shabbat — was one of many Jewish manifestations that have evolved over the millenia. For a variety of reasons, many of them flukes, this just happens to be the strain of Judaism that those of us living today descended from. But we have evidence that there have been MANY different expressions of Judaism around the world and over the ages, and in most of those examples, Jews were not obsessively focused on the nuances of arbitrary rules. 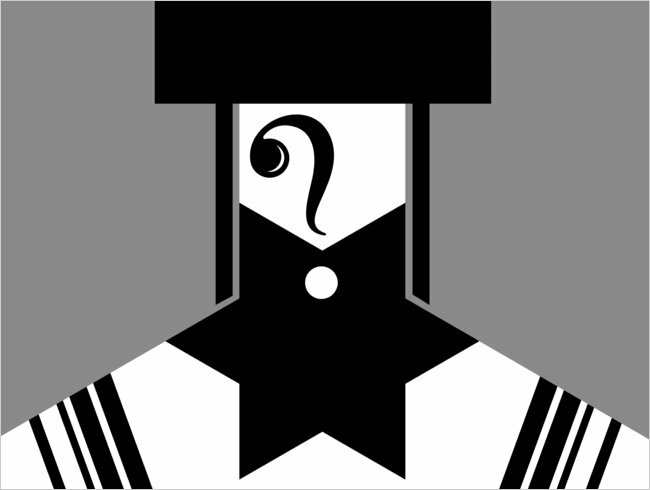 Orthodox Jews like to believe that the more you study halacha, the more “observant” you become. For me, education has had the opposite effect. The more I have studied and learned about halacha, the more I have realized the arbitrariness of its logic, and thus the less weight I am able to give it intellectually. Therefore, the less impact it has on any of my personal practices. Becoming learned in halacha has made me LESS halachic, not MORE. Historically speaking, the shift from patrilineal to matrilineal descent happened around the year zero — in the Second Temple period, the time period when Jesus was living. The Romans were in power and they identified their own citizenry based on the identity of the mother, not the father. At that time period, we see a shift in how Jews began calculating their own people too. Then, when the Roman empire converted, en masse, from paganism to Christianity in 325 CE (by an official edict of the Pope in power), conversion to Judaism became a crime punishable by death. Suddenly, we Jews had a vested interest in NOT letting people willy-nilly join our tribe. Prior to that, we have evidence that Greek pagans were frequently converting to Judaism, and that we were even a proselytizing religion. To put it bluntly, our switch form patrilineal descent to matrilineal descent is a direct result of anti-Semitism. Why would we, as a people, continue to advocate for ANY position that is a reaction to Anti-Semitism. Isn’t it an obvious act of reclaiming our roots and our power to say: No, YOU people are not defining us. WE get define who we are! Here is yet another reason to accept patrilineal descent: We are a tiny, ever-more tiny group of people. As one of my professors of Jewish history once said: There are more non-Jews walking on the Earth today who have a Jewish ancestor in their past than there are Jews. Take a moment and think about that. SO many Jews have been lost to history due to the pressures of assimilation and forced conversion that today’s world Jewish population of 13.3 million is a mere fragment of what it could have been, had circumstances in our past been different. Jewish population growth worldwide is close to 0 percent. From 2000 to 2001, it rose 0.3%, compared to worldwide population growth of 1.4%. (An aside: About 37% of worldwide Jewry lives in Israel.) There are so few of us in this tiny tribe. What I don’t understand is why in the world any of us would be trying to make our tent smaller rather than larger? You have a Jewish parent and you want to come break challah with me at the oneg after Shabbat services? I have just two words for that: Welcome, friend. My father was Jewish. My mother was Catholic but kept a kosher kitchen. I was close to both my parents as I worked with them both all my life. Upon his passing I felt cut off from my Jewish family as he was my only link. Nobody on his side of the family communicates with me. When mother passed away, the rest of my life seemed to have ended. My two best friends are gone. Nobody on her side of the family communicates with me either. Her people are anti-semitic. Gentiles regard me as Jewish. Jewish people regard me as gentile. These things are said to assure you that your position is correct. There is a lot of suffering going on as a result of man’s laws and the color of law. Aaron, I hope you take the time to explore some Jewish renewal, reform, Reconstructionist or humanist Jewish congregations where you live. I’m not sure what resources are open to you, but the Jewish world has broaden so greatly in the past 20 and even 10 years. You might be surprised to find a welcoming and loving community for you. It never ceases to boggle my mind. We Jews are something like 0.01 percent of the world population and look at how much collective energy we spent do keep people OUT. It’s crazy! ~~ Many blessings to you. Exactly what I’m going threw haha. My angelican mom’s side of the family seems to be anti semetic and my dad’s seems to not like me because I’m not Jewish according to stupid Jewish law which is not even authentic jewsh law because it goes against the Torah and my dad’s mom who is orthodox dosent accept me because I’m not Jewish according to her fake judiaism. Thats exactly what I go threw, Jews treat me as if I’m Christian and gentiles treat me as Jewish. I feel your pain. You got to realize though DNA proves Jewishness is paternal my DNA test proved it. The ironic thing is most Jewish women are descended from converts HA! My DNA goes back to ancient israel and is connected with Yemen Jews. That makes me more Jewish than someone with just a Jewish mother. Thats why I support karaite judiaism they follow the Torah over a rabbi’s reform of it. Orthodox are actually reformers. Aaron, I hope you share the post with these family members and give them a history lesson! Given we make up only 0.02% of the world population, it’s utterly dumbfounding that we spend any effort at all trying to keep our own family members outside of the tent. Ridiculous. And completely self-defeating. In the United States, 70% of non-Orthodox Jews marry non-Jews, and of those couples, only 14% are raising their children exclusively as Jews. How small does our population have to go before we stop wasting our energy trying to keep people OUT rather than making Judaism warm, interesting and attractive enough for people to want to stay IN? Of all people, the Jewish people should be sensitive and compassionate regarding issues of being subjected to feelings of not belonging. As Jews, we should be the most open and accepting people of any group or religion. The truth, however, is almost the opposite. Jews judge other Jews by whether they had the ‘right’ parent or from which supposed ‘tribe’ they came from. Intolerance of any sincere individual who desires to join the Jewish people is unacceptable. Creating a second-class of Jews is unacceptable. Jewish acceptance should be warm, embracing, and 100%. We know what it is like to be shunned because of how we were born. How can we not be sensitive to those who wish to join us? For all those dealing with the issue of Jewish Idenity. Knowledge is power. Know your past, proclaim your future. Be not what you are called, but who you are called to be! Matrilineal Jewish Identity is not biblical, it’s halachic. And taken from Roman culture of the time. When studied one finds a stark contrast between the 2nd temple period historical writtings and after the destruction and establishment of a formal Christian religion of Rome.